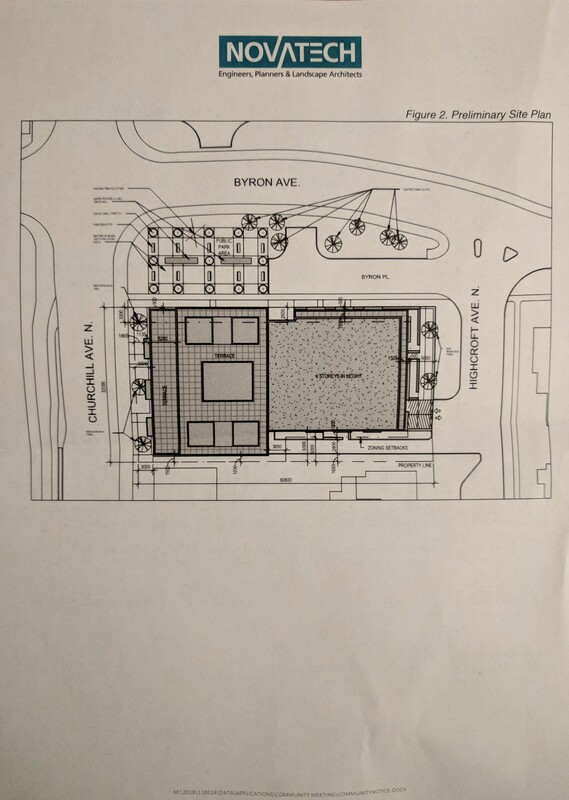 You may recall that in February, there was a lot of discussion surrounding a potential development at the corner of Churchill Ave and Byron Place. At the time, a community meeting had been organized to discuss this further, but it came out that the developer was not ready to move forward with their project. However, they are now ready to do so. We are hosting a community open house to discuss this proposed development on October 30, 2018 from 6:30 to 8:30 pm at the Real Canadian Superstore PC Cooking School. Please encourage your neighbours to attend. At this meeting, the developer will review the details of what they are proposing and what they will be requesting from the City. It’s important to note that the developer has not formally submitted their application yet, nor has our office been approached to review the proposed development in detail yet. 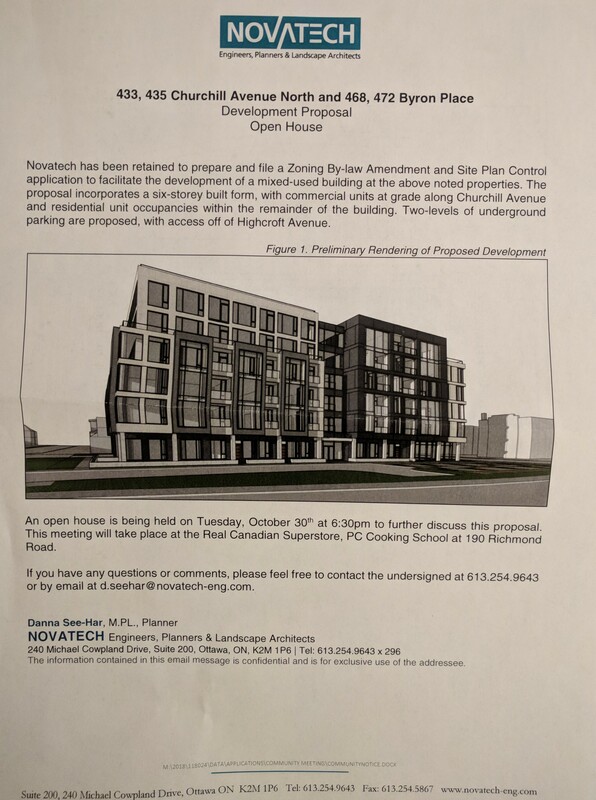 From speaking with Novatech, the urban planning consultant working on behalf of the developer, they want to hear the community feedback at the open house, review the comments and make any changes before submitting formally to the City. Please don’t hesitate to reach out to Jeff.Leiper@Ottawa.ca and Fiona.Mitchell@Ottawa.ca with any questions, comments or concerns in the meantime. Jeff’s newsletter is unavailable until October 23 (due to the election black-out period), but if you aren’t already signed up to receive it, please consider signing up (by letting me know). When it’s resumed, it will include significant development updates.